Nested high in Colorado's magnificent Rocky Mountains, Vail is a stunning resort town that offers year-round vacation potential. Browse Vail timeshares for amazingly affordable ski vacation solutions and find units priced up to 70% off! What’s My Vail Timeshare Worth? Just under 100 miles west of Denver, Vail is a resort town built into the sweeping White River National Forest. Boasting tall and looming mountain peaks on either side of its town lines, the area is a vacation mecca for winter sports and outdoors enthusiasts. Timeshares in Vail, Colorado offer a useful and cost-efficient method for travelers to find the accommodations they crave each year at incredibly low prices, leading to a future of winter or summer vacations. With popular brands like Marriott Vacation Club and Ritz-Carlton maintaining properties in the area, you'll have plenty of options when finding your perfect Vail timeshare. Vail is known for its skiing, but in truth, it's a perfect year-round destination for anyone looking to explore one of the country's most alluring places. Vail Ski Resort is home to thousands of acres of ski-able terrain scattered across Vail Mountain, making the town a prime area for winter sports. However, summertime visitors can find such attractions like the Betty Ford Alpine Gardens and the weekly Farmer's Market & Art Show to truly get to know the destination in warmer temperatures. Are you ready to find great timeshare accommodations in Vail? Fill out the form on this page or call a representative at 1-877-815-4227. Many timeshares in Vail are departures from standard hotel rooms, with many incorporating a mountain lodge aesthetic. Exchanging your timeshare with RCI or Interval International is a great way to discover new vacation opportunities in other destinations. Secure a fixed or floating week any time of year at your Vail timeshare, or opt for more flexible timeshare points instead. Timeshare resorts in Vail are spread throughout the area, offering impeccable access to ski trails, hiking spots, and great shops and restaurants. 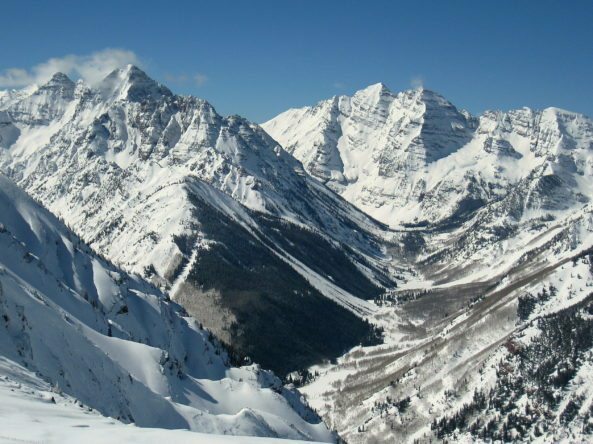 Vail is an ideal skiing and snowboarding destination built for ultimate winter enjoyment. You may find ski lifts directly outside your resort, allowing you ski in, ski out access to enjoy the best trails in Vail in just minutes. In the warmer seasons, you'll find hiking around Vail to be an extremely satisfying and rewarding experience. Hike the popular North Trail for amazing sights, or enjoy views of the river and beaver ponds from Gore Valley Trail. Vail is also home to a quaint downtown area that is filled with restaurants, shops, and vendors to create an exciting and interesting community. Discover the Farmers Market that takes place every Sunday during the summer, or dine at locales like Matsuhisa or Campo de Fiori. While Eagle County Regional Airport is technically the closest airport to Vail, you'll likely find a greater number of direct flights to Denver International Airport, just under two hours away. Transportation to Vail from Denver International Airport is easily arranged through buses and shuttles. In terms of area attractions, shuttles and taxis are available to ferry you from place to place, although Vail is quite walkable. Of course, there's plenty more to do than hike or ski in Vail. The Betty Ford Alpine Gardens provide a picturesque area to explore, while the Gerald Ford Amphitheater hosts live performances and events regularly. Golfers will love having the Vail Golf Club close as well. Already Own a Vail Timeshare?